Hangovers often involve several unbearable symptoms, such as throbbing headaches, dizziness, indigestion, irritability, nausea and even brain fog. It’s no wonder why people go to great lengths just to avoid experiencing them. Sadly, your best efforts might not be enough to keep it from happening. To help save yourself from all the trial-and-error, we listed down some of the hangover cures that will never work the way you want them to. Chugging all the water won’t exactly save you, since dehydration isn’t the main cause of hangovers. The real culprit is actually more complicated – it involves numerous chemicals which throw your whole system off. So while drinking water in between your cocktails may deter you from chugging down more beer, it can’t and won’t protect you from the aftereffects of your last tequila shot. Although vomiting does remove the booze from your system, it’s actually already a sign that you’re suffering from the toxic effects of alcohol. Making yourself throw up won’t really work wonders. Instead, it’ll leave you dehydrated and feeling much worse the morning after your booze party. While nothing tastes quite as good as a cheesy breakfast sandwich with a side of home fries, indulging on a heavy and greasy breakfast can actually trigger indigestion that could make you feel even worse. Instead, opt for some fruits to help you feel better and to replenish your blood sugar levels that dip when you’re drinking alcohol. If you’re craving for some carbs, then a honey on toast can be helpful as it’s easier to digest. Hangover pills would definitely be everyone’s saving grace – if they only worked. Sadly, a study found that most of these pills don’t actually deliver any benefits. So stop wasting your money on these pills unless the product contains tolfenamic acid, an NSAID drug used to treat migraines, alleviate pain, and repair tissue damage. 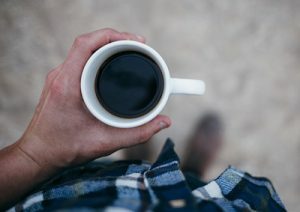 Drinking coffee actually worsens a throbbing headache caused by an all-nighter booze party, since caffeine reduces the swollen blood vessels while the alcohol on your system raises your blood pressure. That said, sipping on a bit of coffee could provide some form of reprieve – so try halving your usual coffee serving instead of springing for a venti cup. There is no real hangover cure for the next-day pain, and while it may seem cruel, experiencing a little hangover every now and then can actually be beneficial to keep us from putting our bodies through too much, too often.